Discussion in 'Classic Menswear' started by Silk, Apr 6, 2007. Seeing how there has been much discussion involving Hong Kong tailors, I have decided to categorize everything. Hopefully, it would be of some help to me when I visit Hong Kong. And I hope it's useful to you too. Good idea. You might consider adding links for A-Man, Y William Yu, Gordon Yao, Ascot Chang, and Hemrajani as they are all from HK and have been discussed here, too. 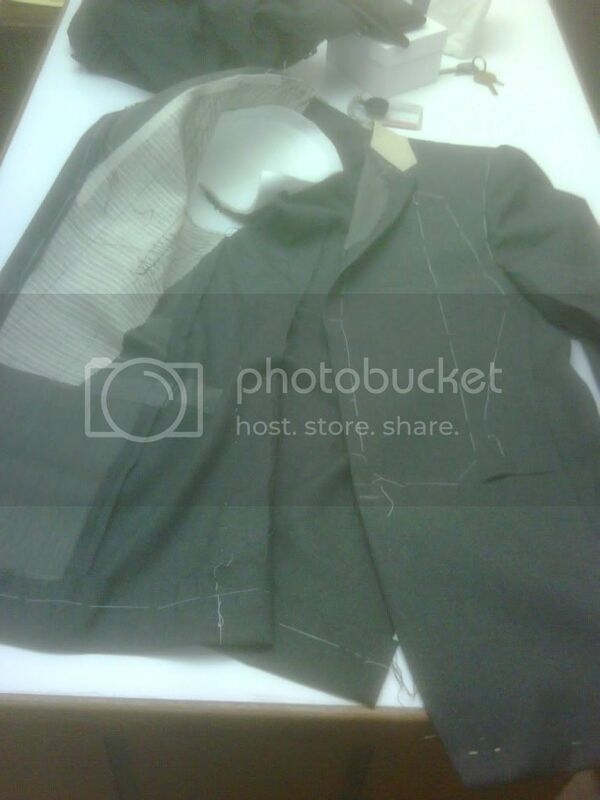 My first out of 2 fittings in a made to measure suit, a mid-grey colored Dormeil 130s worsted and cashmere suit. As you can see, it's half-canvassed, at a competitive price point HKD4,500 for 2 pc. I'll going to ask the tailor to do a fully canvassed if its possible. 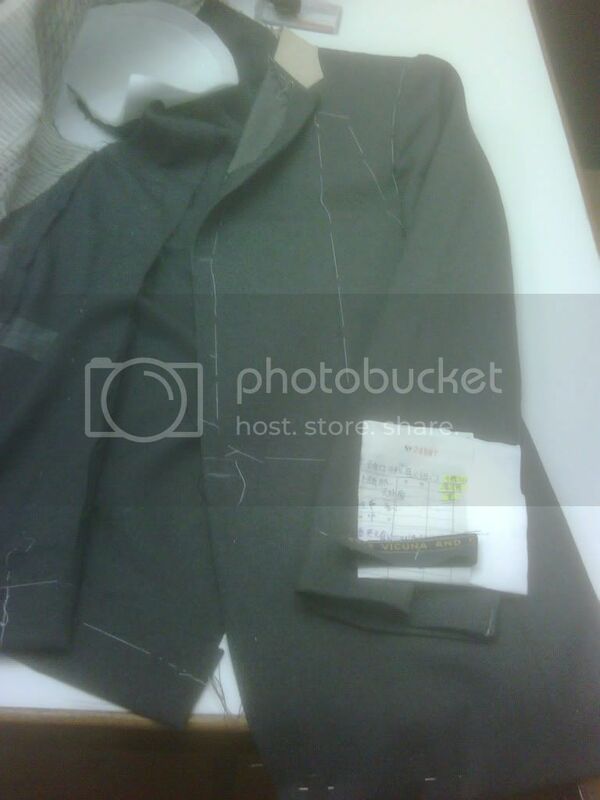 Also making some vicuna blend pants.. the tag the tailor pinned on the shirt is misleading. 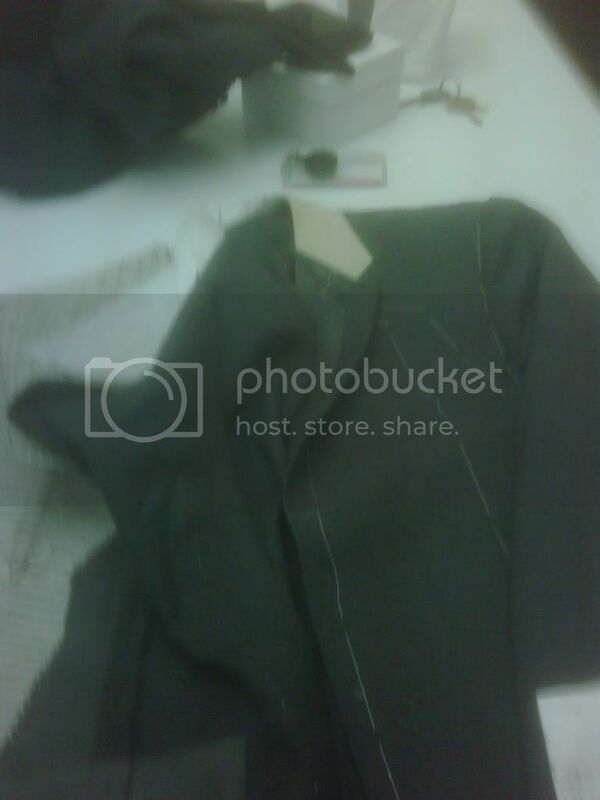 More pictures on my second fitting next monday. Hermes man on Louis Vuitton shoes, "...the soles are beautiful too, and there is a metal plate there to make announcement of your arrival when passing through airports metal detectors!... " Thanks for this forum and for the great advices. I've read many good reviews about HK tailors. From what I understood, A-Man, Y William Yu, Gordon Yao seem the best places to hit for suits. I'm looking for 500 USD / suit and if the tailor is good, I'll probably get two. Any place to recommend for this budget ? Prefer one good US$1000 suit to two average $500 ones. Bespoke- check out Peter Lee of Lee Baron. Otherwise, the guys at The Armoury have a made-to-measure thing with Ring Jacket going on in April. Would ring jacket be within his budget? They seemed to be in the ~1000 range for RTW on the website. If you don't know exactly what you want, I suspect you really get what you pay for with the HK tailors. No, but the way I see it, he's willing to spend US$1000. He might as well buy a good one rather than two. You can get a fully canvassed two-piece from Peter at US$700 onwards and the RJ stuff at about US$1000. IMO, that's way better than picking something off some tout at Nathan Road. I may be incorrect but you can also get under $1k at Gordon Yao (CMT). Funny enough, I just emailed them asking for the starting price of their suits. Will update when I get a reply. I'm with you, do it right, do it once. I've made the mistake of not doing that too many times. BTW, Gordon Yao was about 700 even for CMT before chinese new years, my understanding was that prices were going up another 10% or so after. ASW did a nice comparison on house styles of Yao, Chan and Baromon. That's a great idea you had there, you thought just like a genius. Now wew have all the Hong Kong tailor threads in a single place. Why not Chan? They certainly have a devoted following in this forum, including yours truly.